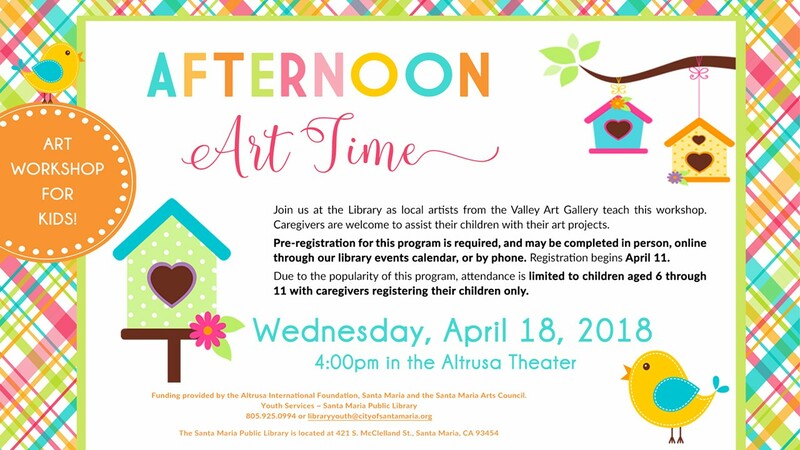 Local artists from the Valley Art Gallery teach this workshop. Caregivers are welcome to assist their children with their art projects. For children aged 6 to 11.